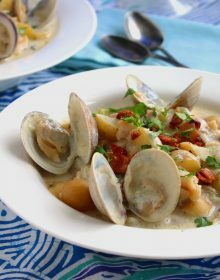 The classic New England Clam Chowder made lighter by substituting the usual butter and heavy cream for a few slices of bacon and low-fat milk. 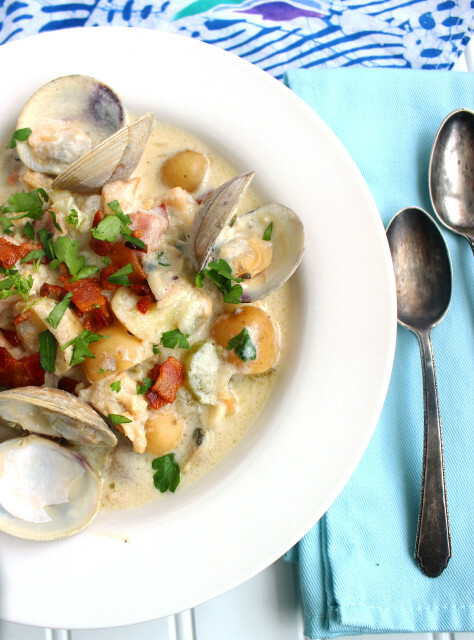 Hearty and filling, this chowder is the perfect meal for the cold, final days of winter. 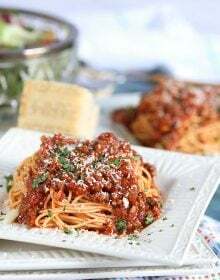 First things first….this is not a quick, weeknight meal. It does take some effort….BUT it does taste better the next day. So, if you plan ahead and put your love into it on Sunday….it’s definitely going to be amazing the next day for a quick dinner. You can’t rush this recipe. The problem with some lightened recipes is that the flavor is a little flat. Flat, bland food makes me crave something more later on. If I’m not satisfied with my dinner….I’ll eat 2nd dinner….if I’m not satisfied with 2nd dinner….I’ll eat cake. It’s just a bad chain of events. 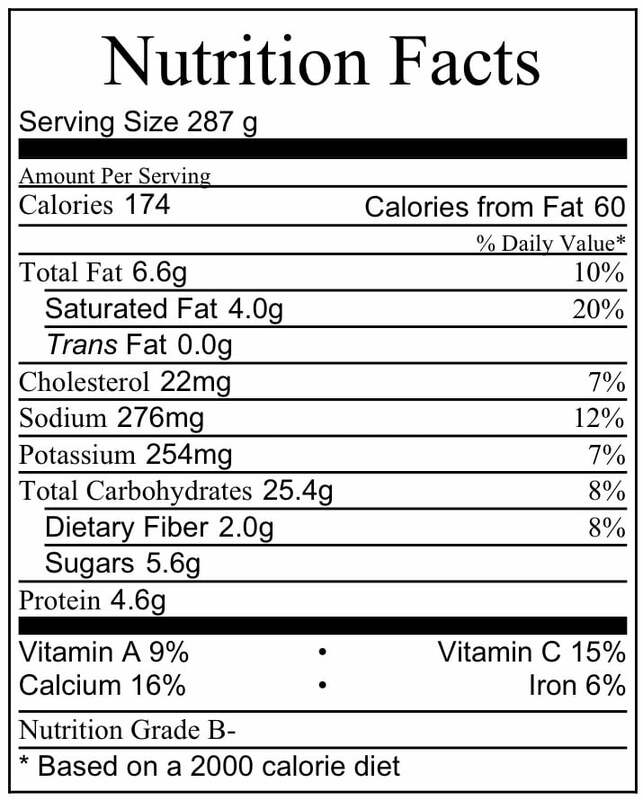 A few things to note….I buy both fresh chopped clams at the seafood counter of my local grocery store AND a 50 count bag of littleneck clams. I do this so I don’t have to use bottled clam juice, however, there’s nothing wrong with using the bottled stuff but the fresher the better. Therefore, I make my own. It’s not hard….it just adds time. So, if you’re in a big hurry and need to cut a few corners….replace the 2 1/2 cups clam juice the recipe calls for with bottled. AND you can also use canned chopped clams, although, I wouldn’t. 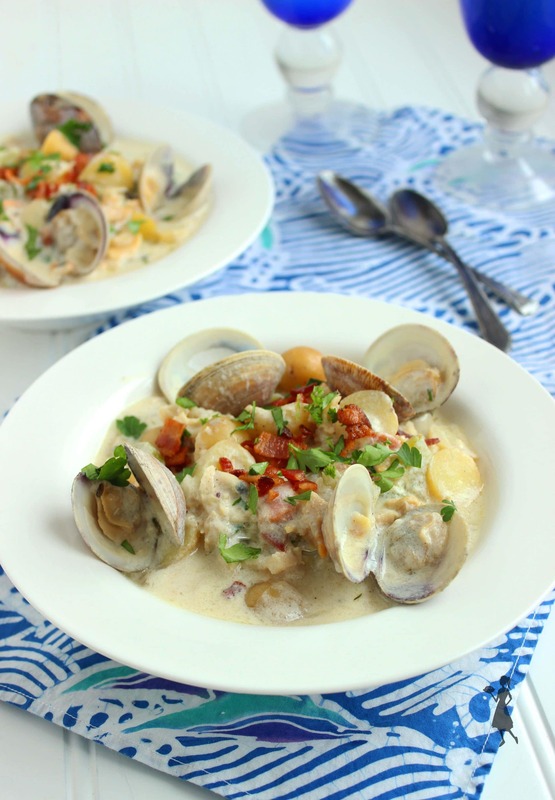 Again….fresh clams….more flavor. Better, more satisfying chowder! Got it? Another point….if you do make your own juice, pour it through a fine mesh strainer lined with a paper towel into a bowl to remove any grit. Grit is no good. You want to get rid of that stuff. 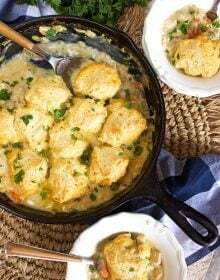 If you’re making the chowder in advance and are serving it the next day….the potatoes will soak up some of the broth so you may need to add a little milk when you reheat it. If you’re counting calories, this will change the nutrition facts a little bit. 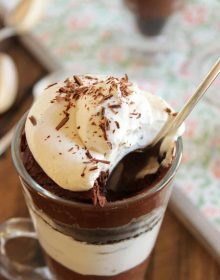 Try not to use skim milk. It’s never good. 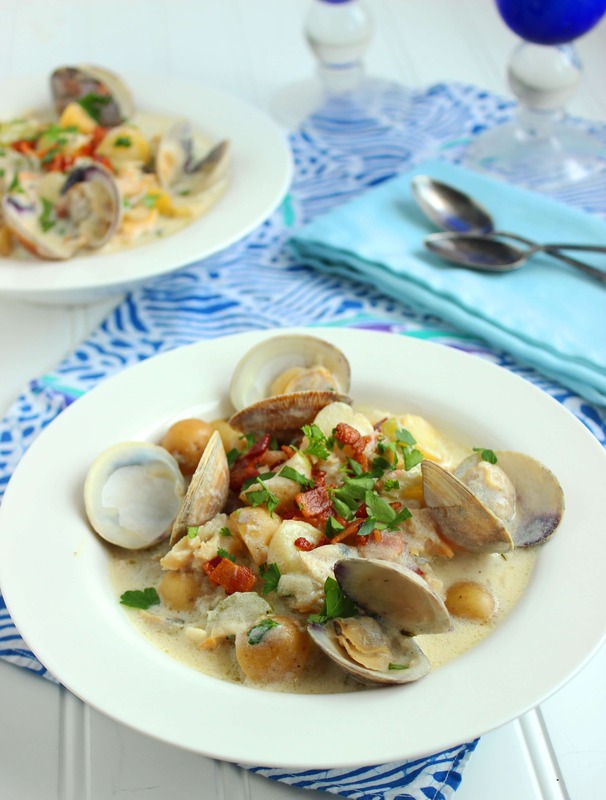 My husband isn’t a fan of clam chowder but he loved this recipe. And for all those chowder purists that believe to make a great chowder the potatoes need to be melting into the stew, I disagree. 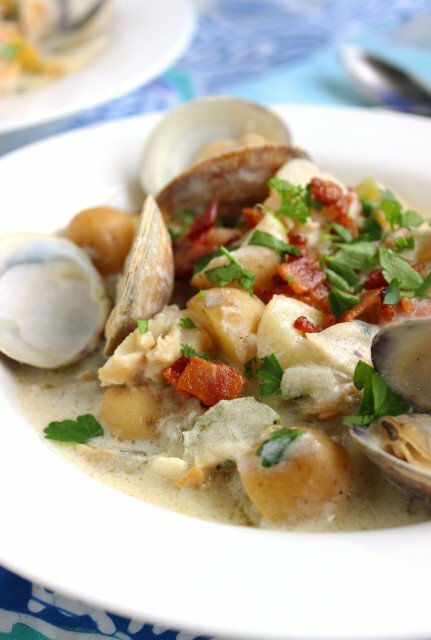 That’s the reason this New England Clam Chowder is so satisfying. The buttery flavor of the potatoes help keep you full so you’re not snacking 10 minutes later. No crackers needed. Or cake. You won’t need cake either. 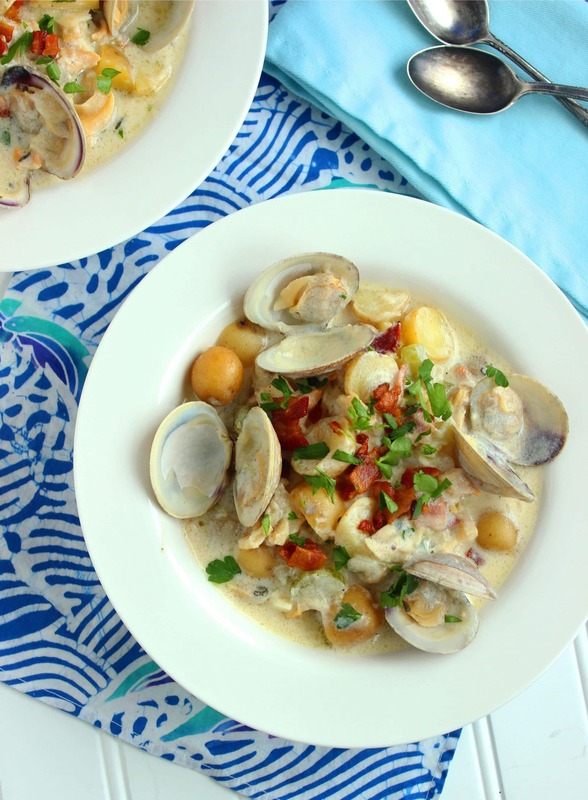 New England Clam Chowder without less calories than a restaurant version. In a large pot, steam the littleneck clams in the water until the shells have opened. Transfer the clams to a large bowl with a slotted spoon and discard any unopened shells. 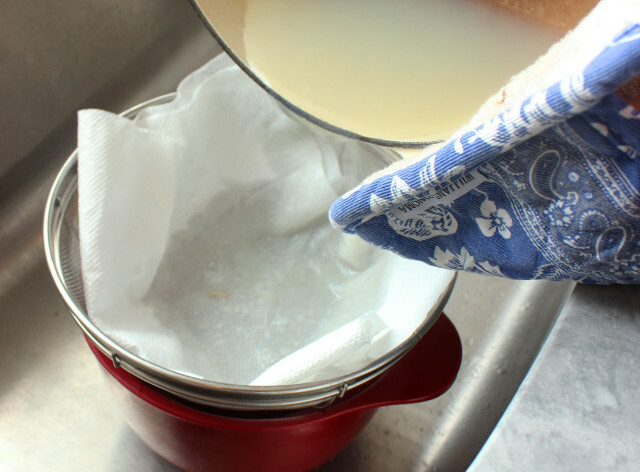 Strain the juice into a bowl through a fine mesh strainer lined with a paper towel and set aside. Discard the paper towel. 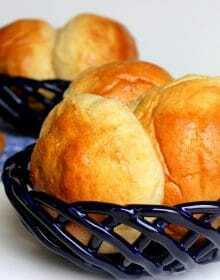 In a large dutch oven, cook the bacon over medium heat until crisp and transfer to a small bowl using a slotted spoon. Drain off all but two tablespoons of fat and return to the heat. Add the onions and celery to the pot and cook until the vegetables have softened, approximately 5 minutes. Add the garlic and cook for 1 minute. Stir in the cornstarch and cook for an additional two minutes. Stir in the potatoes, clam juice, half and half, and milk. Bring the mixture to a boil and stir in the thyme and bay leaf. Turn the heat down to low and simmer for 15-20 minutes until the mixture has thickened a little bit and the potatoes are fork tender. While the chowder is simmering, remove the clams from their shells and roughly chop. Add the clams and the fresh chopped clams to the chowder, stirring to combine. Continue cooking for an additional 10 minutes. To serve, ladle into bowls and top with crumbled bacon. 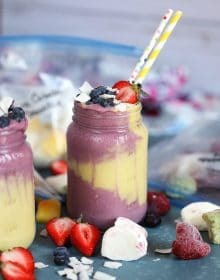 To store, transfer to an airtight container and refrigerate for up to two days. Reminder!!! One Week Left to Enter the Giveaway! 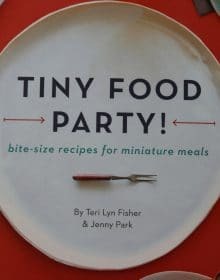 A Book Review, Tiny Tacos and a Giveaway!! !